Over 50,000 ad-tech executives, companies and marketers have gathered in Cologne, Germany this week to discuss global trends, new technology and digital industry issues at Dmexco. The Dmexco 2017 two-day expo and conference (September 14-15) has attracted more than 50,000 professionals from all sorts of digital industries with their biggest installment so far. There will be around 1,000 exhibitors, and key speakers like Twitter CEO Jack Dorsey, Senior VP of Ads & Commerce at Google Sridhar Ramaswamy, VP of Global Marketing Solutions at Facebook Carolyn Everson, Snapchat SCO Imran Khan and AOL CEO Tim Armstrong. The event has offered an ideal venue for digital industry professionals and enthusiasts to connect, network and share ideas since 2009, and will through 15 different stages, be hosting presentations, seminars and lectures from digital stars, top executives, newcomers, and trendsetters continuously. This year’s impressive lineup of exhibitors include major brands like Amazon, Facebook, Google, Accenture, Adobe, AOL, Bauer, Bertelsmann, BurdaForward, Dentsu Aegis, Discovery, DMAX, eBay, Facelift, GroupM/WPP, Gruner + Jahr, Havas, IBM, Media Impact (Axel Springer), Mediabrands, MediaLink, OMD, Omnicom, Oracle, Otto Group, Payback, PayPal, Popsugar, Pro7/Sat1, Publicis, Rakuten, RTL Group, Salesforce, SAP, Scout24, Sky, Spotify, Ströer, Teads, Telefónica, The Girls’ Lounge, Twitter, Vice, WerbeWeischer, Yahoo, Yandex, and Zalando. 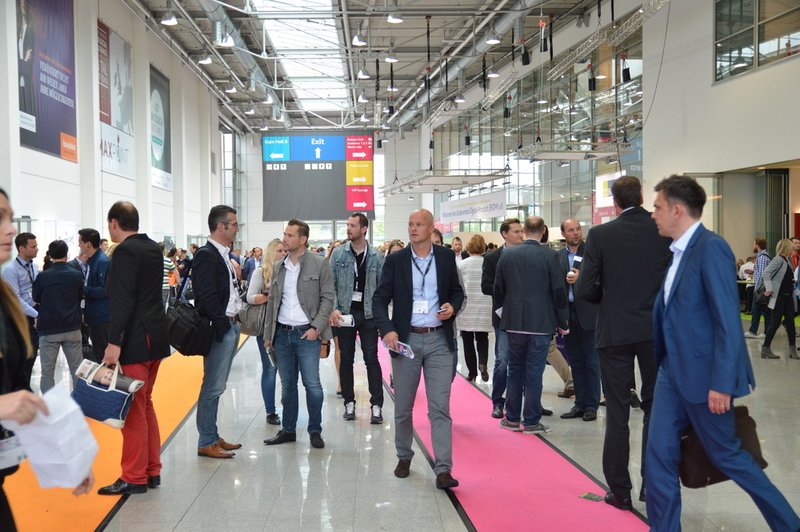 Dmexco – digital marketing exposition and conference – stands out among similar events by tackling ad-tech market issues, most recent developments and future visions, instead of the conventional gadget and technology introduction exhibitions. This has made the Dmexco an annual highlight for digital business executives, marketers and publishers.